This can't be a good thing. 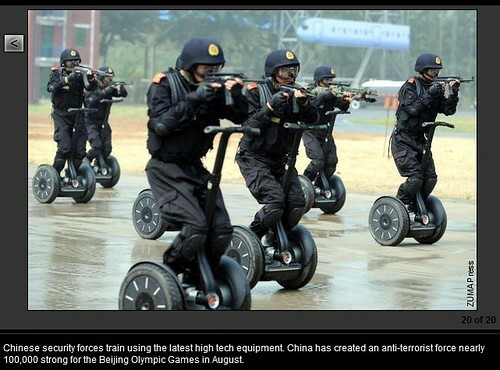 Unless the Segways become sentient and demand for a free Tibet. Then it would be fine. Oh yeah Bush will be at the opening ceremonies, so...there's no joke here at all is there?